A waffle maker with ceramic plates makes breakfast easy. These inexpensive, effective, and totally safe tools enable you to make fluffy Belgian waffles in a matter of minutes. My waffle maker has been a key part of my morning routine for years. If you’d like to start your day right with a sweet, crispy waffle that’s loaded with your favorite goodies, these ceramic waffle makers are a great place to start. Instead of beating around the bush, let’s start things off with what I’m convinced is the best Teflon-free waffle maker on the market right now. The Presto 03510 Ceramic FlipSide is a simple, durable, and effective machine that makes making waffles incredibly easy. The non-stick ceramic plates ensure that cleanup takes seconds, not minutes, and the hinged stand allows you to easily flip the waffle maker while it cooks, ensuring you get even, fluffy waffles. So why is this the best? First of all, let’s talk about how waffle makers work. Waffle makers utilize internal electric heating coils to heat up metal plates. 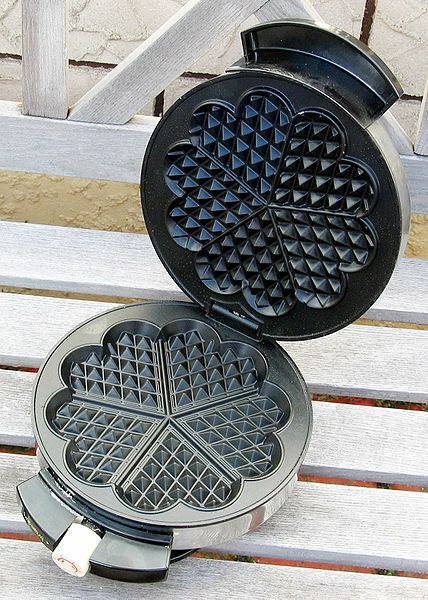 These metal plates are carved into special patterns that give your waffles their shape. The batter flows into grooves in between the grids, resulting in the deeply scored breakfast dish that we love to load up with butter, syrup, and fruit. This waffle maker has a number of small improvements that help this basic formula achieve something incredible. First of all, this waffle maker features grids that can be flipped. This isn’t for even heating – at least not primarily. Instead, it ensures that your batter spreads out evenly and covers the grids properly. By flipping over your waffle maker before you start, you give yourself a lot more wriggle room with how much batter you use, which in turn reduces the mess you make and gives you better, fluffier waffles. Second, this is one of the few waffle makers on the market that comes with a timer. While other models often have fancy lights that flip off when the machine thinks your waffles are done, they’re not particularly accurate. They’re also binary, so you can’t easily program the machine to tell you when your waffle has achieved the right amount of crispiness. A timer takes out all of the guesswork and inaccuracy. It might take a trial or two to figure out how long you should cook your favorite batter recipe, but once you’ve figured it out, you’ll be able to replicate your perfect waffle every time. Many flip-style waffle makers take up a lot of room on your counter. The hinge is located in between the plates, allowing you to simply rotate the plates vertically for storage. This means it takes up the same amount of space as a thick hardcover book. You can slide this against the wall or under a cupboard without taking up a lot of room on your counter. The hinges lock in this position, too, making it extra convenient. This waffle maker features ceramic coated plates that can be wiped down in a matter of seconds should any sort of a spill occur. They’re highly non-stick, meaning that normal operation hardly leaves any residue. You’ll probably find that you hardly need to clean this waffle maker. The ceramic coating is PFOA free. Now, you can find other waffle makers that flip, and you can simply use a different timer to keep track of how long you’ve cooked your waffles. While these features are good, they’re not unique to this waffle maker. This is, however, a fairly affordable waffle maker, and it’s incredibly durable. 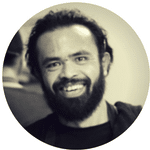 It’s earned an incredible reputation among savvy customers as being a tool that you can use for well over a decade with just a little bit of care. It does lack one key feature, however: it’s not a ceramic waffle maker with removable plates. The easy-to-clean non-stick grids are firmly affixed to the hinges and heating mechanism and you can’t put those in the sink. This means that anything you can’t wipe up with a sponge will be a minor hassle to clean. Not difficult, mind you, but somewhat annoying for sure. Should you buy this waffle maker? Yes. If you’re looking for a non-toxic waffle maker that still has easy-to-clean non-stick plates then this Presto unit is the right one for you. The easy storage, included timer, and handy flip functionality might not be unique, but they come at a competitive price with incredible reliability and durability. This unit might not be the fanciest, but it’s definitely a solid, stress-free choice. If you’re after something that’s even cheaper than the already-affordable Presto above, the Oster DuraCeramic Waffle Maker is a solid choice. It’s a basic unit that eschews some of the fancy features in the Presto in order to reduce complexity and manufacturing costs. The result is a unit that’s incredibly affordable and pretty effective, although the lack of flip functionality and other features makes it less convenient to use. The basic design of this waffle maker is similar to the Presto unit above. It’s still got two heating elements that sit below specially shaped plates that are covered by a modern ceramic non-stick material. This means that the waffles it makes will be fairly similar, with a handful of small caveats. First of all, this waffle maker doesn’t have a flip feature. This means you pour batter into the bottom grid, flip the top grid down, and let the physical action of squeezing the grids together spread out your batter. 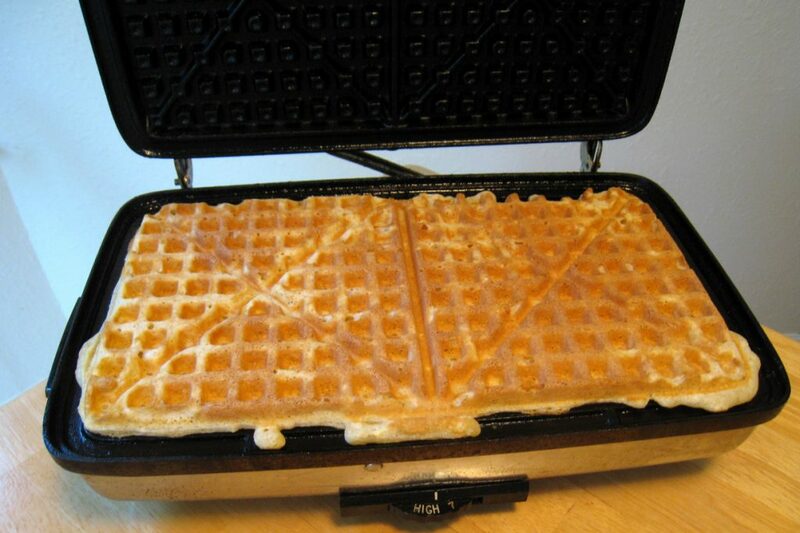 On a waffle maker with a flip feature, you’d pour batter into the bottom grid, close the top grind over it, and then flip both grids, giving the batter more of a chance to spread out evenly over both grids. Since it expands as it cooks, this results in a perfect, fluffy waffle with less batter. This isn’t always a big deal – if you’re using a consistent batter recipe and you’re measuring out the right amount each time, you probably won’t notice much of a difference. If you’re not super serious about making waffles, however, you’ll find that this non-flip waffle maker gives you much less consistent waffles. Using too much batter will make a mess, since the grids will squeeze the batter out the sides. Using too little will result in a small, malformed waffle. With a flip waffle maker, you’d have a bit more room in the middle, meaning you’d get attractive waffles a bit more often. 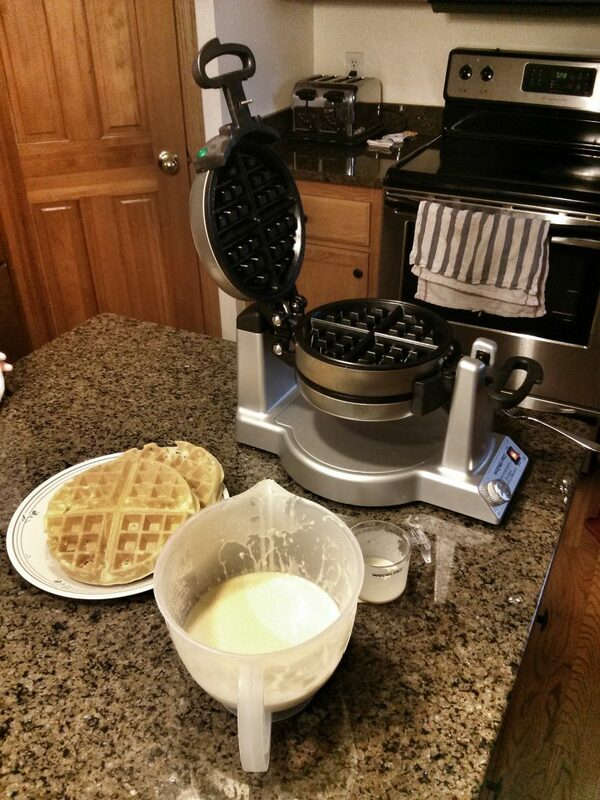 Now, there are a few things about this waffle maker that are actually quite nice. For one, it’s got a temperature dial, meaning you’ve got an extra variable to play with. Turn the heat all the way up for crunchy waffles that don’t take forever, or turn it down to give yourself fluffy waffles that never get burnt. You’ll want to use a timer, of course, but this unit doesn’t come with one, so you may need to factor in the additional cost of a simple kitchen timer to the purchase price of this unit. The ceramic coating on this waffle maker’s grids is practical and effective. It allows you to effortlessly separate your waffles with no mess after you cook them, which is pretty much all you could ask for. Like the Presto unit featured above, however, the plates are fixed. You do NOT want to put this waffle maker in the sink. Should you make a mess, try using a damp sponge to clean things up. The chromed exterior and ceramic interior are both very easy to clean off with very little effort. As far as durability goes, this unit seems to have more problems than the Presto above. Luckily, they’re fairly uncommon, so you probably don’t need to worry. You can expect to get many years of use out of one of these waffle makers in a typical household. 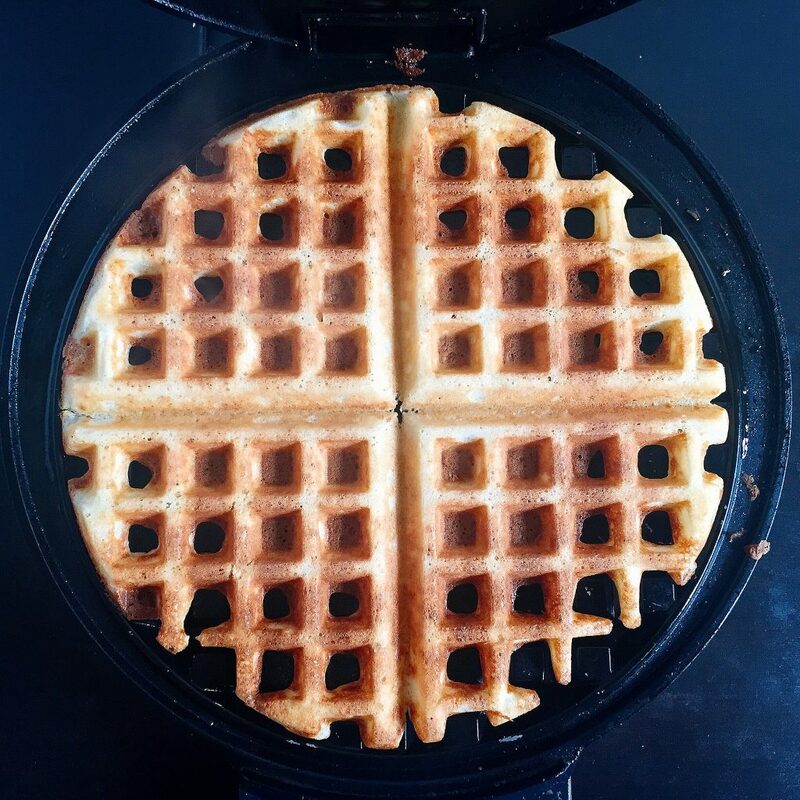 If you’d like to save a bit of money on your eco-friendly waffle maker, this ceramic coated Oster waffle maker is a brilliant choice. The lack of a flip feature will hurt your consistency, however, and you may find that the waffle maker is more awkward to store than the Presto above. Despite these minor deficiencies, it’s still a brilliant budget choice! This mighty behemoth isn’t just a waffle maker. Instead, it’s a versatile tool that enables you to create entire meals with ease. 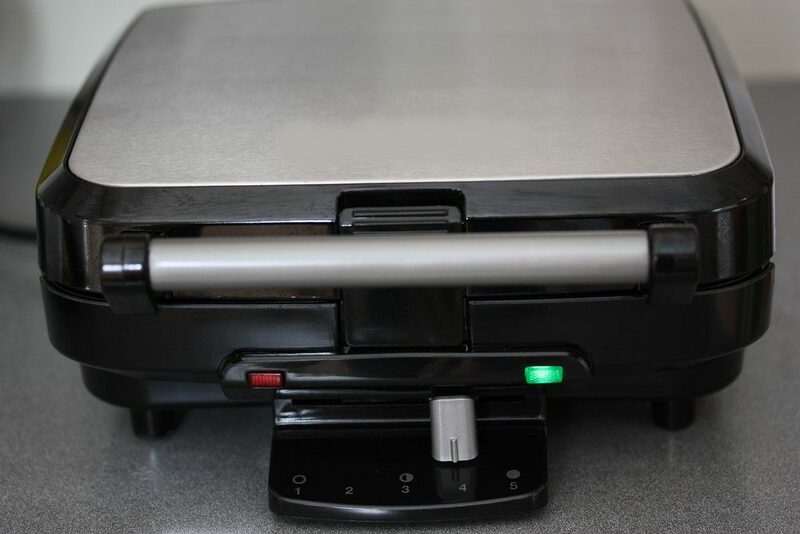 It’s quite similar to a waffle maker in many respects – it features heating elements that warm up special metal plates on both sides of your food – but this machine has more powerful and more precise heating elements that can be used to cook, toast, or reheat pretty much any food. First of all, let’s be clear about how this machine cooks waffles. It’s a traditional George Foreman-style grill that has removable ceramic plates. You can swap in a set of included plates that have a waffle grid on them, enabling you to stamp out perfect squares in your waffle batter as you cook them. 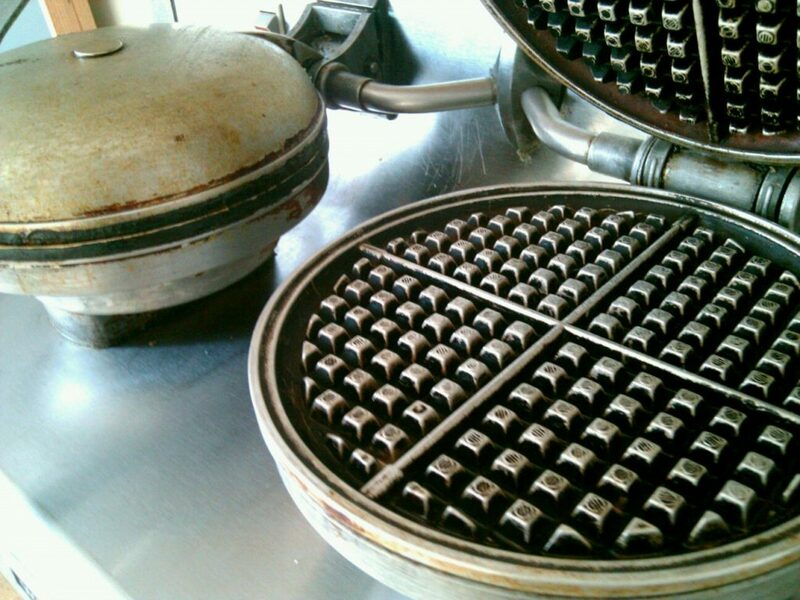 When you’re done, simply remove the waffle plates, clean them in the sink, and put the normal grill plates back on. The grill plates that come with this unit are made with PFOA and PTFE free non-stick ceramic. This ensures that the food you cook is totally safe. You don’t have to deal with dodgy Teflon here. More importantly, they’re also dishwasher safe, meaning cleanup is a total joke, even if you make a mess. One of the best features of this grill is the fancy control panel. You can dial in any temperature between 325 and 400 and set a built-in timer for precise, worry-free cooking. When you’re trying to cook steaks, burgers, or even fish filets, you can take advantage of a “sear” feature that pushes out a big burst of heat from the heating elements in order to give you a crusty exterior in no time. This is a really, really big machine, at least as far as waffle makers go. The unit itself is about 13” by 15”, meaning you have well over a square foot of cooking area. A floating hinge ensures that you can get great contact from both plates on thick foods, although this shouldn’t be much of an issue while you’re cooking waffles. While I’d strongly suggest this unit if you think you’ll get any use out of the non-waffle making functionality, there are a handful of flaws that are worth noting if your primary goal is to buy a waffle maker. First of all, this is a big, bulky machine. If you’re just making a waffle or two, you’re going to feel really silly using this. The other machines are much more compact and can easily be left out on the counter. This unit, on the other hand, will eat up a lot of space while it’s not in use. Second of all, it doesn’t flip. This means that the batter won’t spread out perfectly. This isn’t a huge deal, since you can simply use the middle of the ginormous waffle plates, but this might mean that your waffles come out slightly misshapen. Finally, it’s unclear exactly what materials are in the waffle plates themselves. They’re a different color than the regular grill plates and George Foreman makes no reference to them being ceramic in their marketing material. It’s very likely that they ARE ceramic and that I’m being paranoid, but if you don’t trust PTFE, you might want to steer clear of this machine as a waffle maker. For anyone who insists on removable plates or anyone who thinks that they’ll get a lot of use out of an indoor grill, this George Foreman multi-purpose cooker is a brilliant choice. It’s a bit more expensive than the other waffle makers, sure, but it’s bigger, more powerful, and has the ability to cook entire meals. If you’re just after a simple non-toxic waffle maker, the eco-friendly Presto flip waffle maker takes the cake. It’s cheap, easy to store, comes with a timer, and is incredibly durable. If you’re trying to save money, try the Oster ceramic waffle maker, and if you’re after something a bit bigger, consider the George Foreman ceramic grill with removable plates. All of these options will give you incredibly tasty Belgian waffles in the comfort of your home.